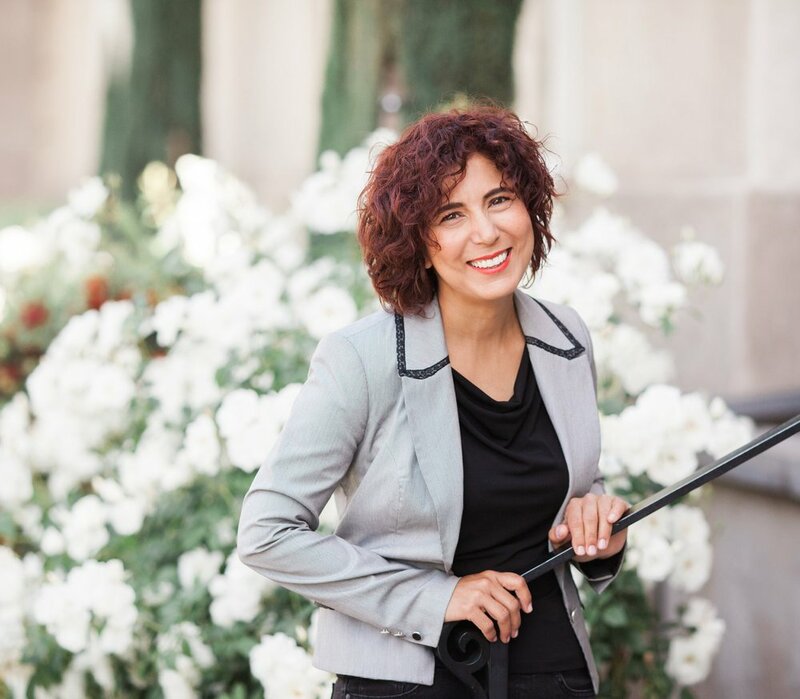 Dr. Selin Yildiz Nielsen, Co-founder and President of Glocally Connected, has worked in international education for the last 20 years as a director, professor, coordinator, manager, instructor, and consultant. She has taught undergraduate and postgraduate courses in California, Iowa, Washington D.C., and the Republic of Turkey. Dr. Nielsen’s work with refugees started with the Iowa International Center, a non-profit organization dedicated to facilitating migrant and refugee integration. She has also lead projects providing educational assistance to teachers in Syrian refugee camps in Southeast Turkey during her time as a visiting professor in the region. Her work was carried out in four camps and included training in cross-cultural integration and conflict and trauma management. Throughout her career, Dr. Nielsen has published numerous articles and book chapters related to international education. She recently co-authored the book, “Encounters in the Turkey-Syria Borderland,” published in 2018. Her latest work, “Saving Syria’s Lost Generation: An Introduction to the Study of Forced Migration and Refugees,” will be available soon. 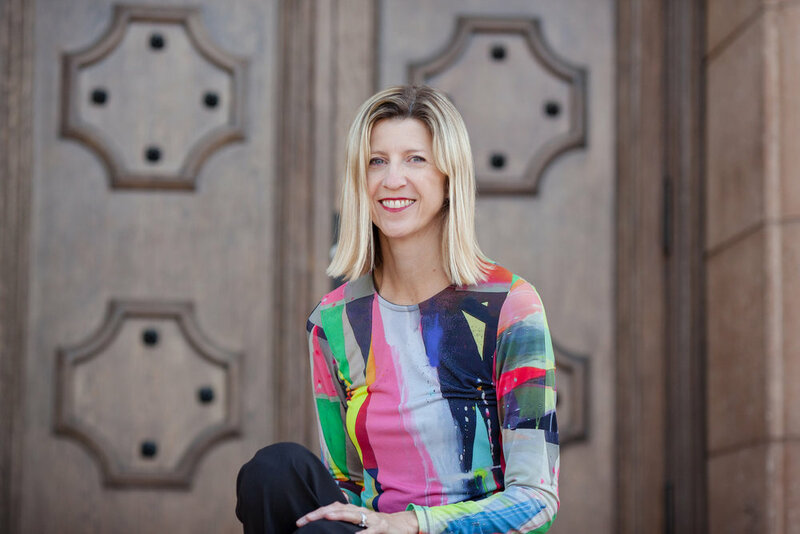 Sherry MacKay, Co-founder and Director of Glocally Connected, comes to the organization with over 20 years in the ESL (English as a Second Language) field. During her teaching career, she taught refugees in Toronto, Canada and international students at the University of California, Riverside Extension (UCX). During her career, she has also held leadership positions with the UCR Extension as the Academic Coordinator for Special Programs, where she developed and taught numerous programs for international teachers. She reconnected with the refugee community while working with the Refugee Well-Being Project (RWP) at the University of New Mexico (UNM) in Albuquerque, New Mexico. The program brings together newly arrived refugees and university students. There she supported the university students and, in particular, helped them teach English to their refugee partners and connect the refugees with local English programs. She also assisted in facilitating cultural exchange learning circles. The United Voices for Refugee Rights (UVRR) formed to address the lack of support and move to change current policies. Sherry holds a Master’s of Education in T.E.S.O.L. (Teaching English to the Speakers of Other Languages) from California State University of San Bernardino. Erin Edwards has dedicated her public service career to addressing homelessness, food insecurity, and civil rights issues for women, immigrants, youth, and the LGBT community. She served with AmeriCorps and has over 12 years of experience in the nonprofit and philanthropy sectors. She sits on the Riverside Downtown Partnership board and its Land Use Committee, as well as serving as a member of the Downtown Area Neighborhood Alliance, the Northside Improvement Association, and the PICK Group. 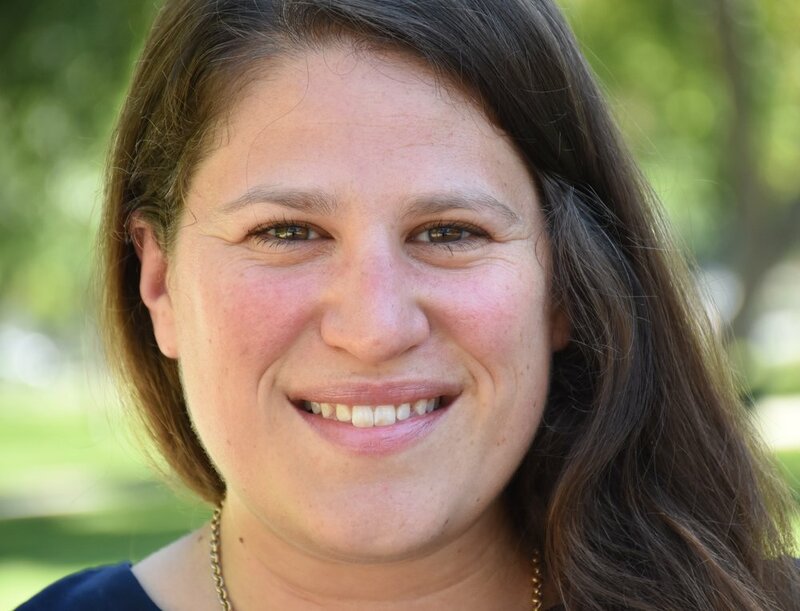 Erin holds a Masters degree in International Development and is a graduate of the Center for Community Action and Environmental Justice’s Boards and Commissions training in 2017. Dr. Kathy Howard chairs the Department of Teacher Education and Foundations in the College of Education at CSU, San Bernardino. Her teaching in the field of TESOL includes courses on sociolinguistics, pragmatics and literacy for language teachers. Her research addresses pre-service teachers’ development as educators, funded by the New Generation Educator Initiative and Sanford Inspire. Her work has been published in peer-reviewed journals including the Journal of Linguistic Anthropology, Language in Society, Linguistics and Education, Language and Communication, the Journal of Sociolinguistics, and the CATESOL Journal. She sits on multiple boards, committees and interest groups, focusing on language and literacy education as a member of the CSU Council for the Advancement of Reading and Writing; serving as President of TESOL International’s Applied Linguistics Interest Group; and participating in the American Anthropological Association’s Language and Social Justice Group. Dr. Mary Ann Schaepper is a board-certified child, adolescent and adult psychiatrist. She is active in policy development at the state and national levels, participating in the American Psychiatric Association Assembly and its Child and Adolescent Committee as well as serving as President of the California Psychiatric Association. She has presented her research at numerous national and international venues and contributed to book chapters in the field of psychiatry. 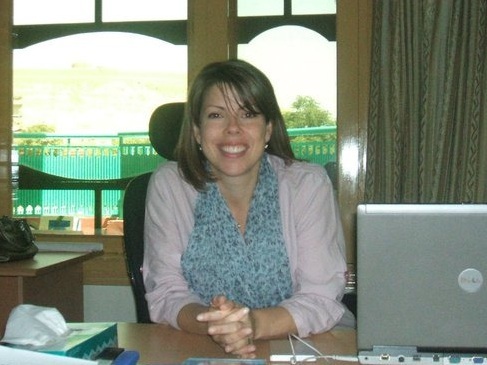 Her community service includes disaster relief efforts to train American Red Cross workers in mental health; the delivery of telepsychiatry services to refugees and victims of trauma in Lebanon through her “Peace of Heart” initiative; and education on resiliency and empowerment issues for Afghan refugees at Glocally Connected. Dr. Carla Lidner is a dentist, Fellow of the American College of Dentists (FACD), and Vice Chair of the Orange County Dental Society, Dental Health Foundation. She also chairs the board of the Child Abuse Prevention Council for Riverside County (HOPE Collaborative) and sits on Loma Linda University’s Women’s Health Advisory Board. She has served in the past as Grant Project Director (PI) on the First Five Children and Families Commission in Riverside County and San Bernardino County. She is a published author and lecturer with numerous awards including “California Woman of the Year” in the 63rd Legislative District. Sasha Ross is Glocally Connected’s Director of Fundraising and Program Development. 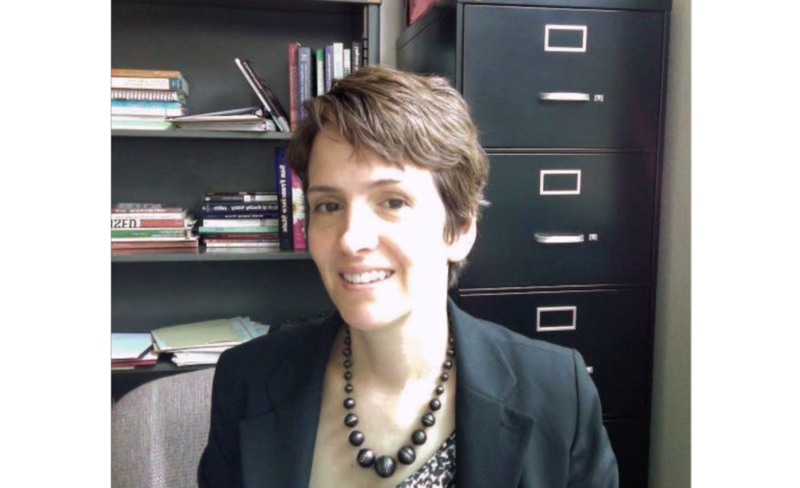 She has previously worked in international development, humanitarian relief, and foreign policy analysis. She worked on the development and management of U.S. federally-funded grants implemented in countries throughout Southern Africa, Southeast Asia, Eastern Europe, and the Middle East. During her time in Kabul, Afghanistan, she managed and supported hospitals in the city as well as rural health clinics and midwifery training centers in the eastern region of Afghanistan that borders Pakistan. Additionally, she led a local team that wrote grants for the Afghan Ministry of Public Health and international donors like USAID, the European Commission, and the World Health Organization. As Director of Fundraising and Program Development, her goal is to help Glocally Connected grow its programs and to implement the strategic vision of the organization through the acquisition of new partners and increased resources. Lizzette Capul is a recent graduate from the University of California, Riverside, with a major in Public Policy and a focus on social issues and health policy. She currently serves as Glocally Connected’s Public Health Community Organizer where she conducts social services evaluations and ensures that resources are available so that the organization can communicate with refugee women and their families. She also is a part of a team processing grants and organizing fundraisers. Ali Beau Nielsen is currently the Communications Director at Glocally Connected. His operations include the modernization of the website, coordinating outreach to supporters, and streamlining social media presence. Ali Beau designed, wrote, and published the organization's updated monthly newsletter, conducting interviews and devoting a space to past newsletters on the website. When not in California, Ali Beau works remotely from Scotland, where he is getting his postgraduate degree in Political Communication at the University of Glasgow. Previously, he studied International and Comparative Politics with a focus in Human Rights at the American University of Paris, in France. During his studies he devoted a significant amount of time helping refugees, even flying to Greece and volunteering with an organization who accepted boats of refugees traveling from Turkey onto the shores of Greek islands, offering them warm food, dry clothes, and information on how to be processed into the European Union. 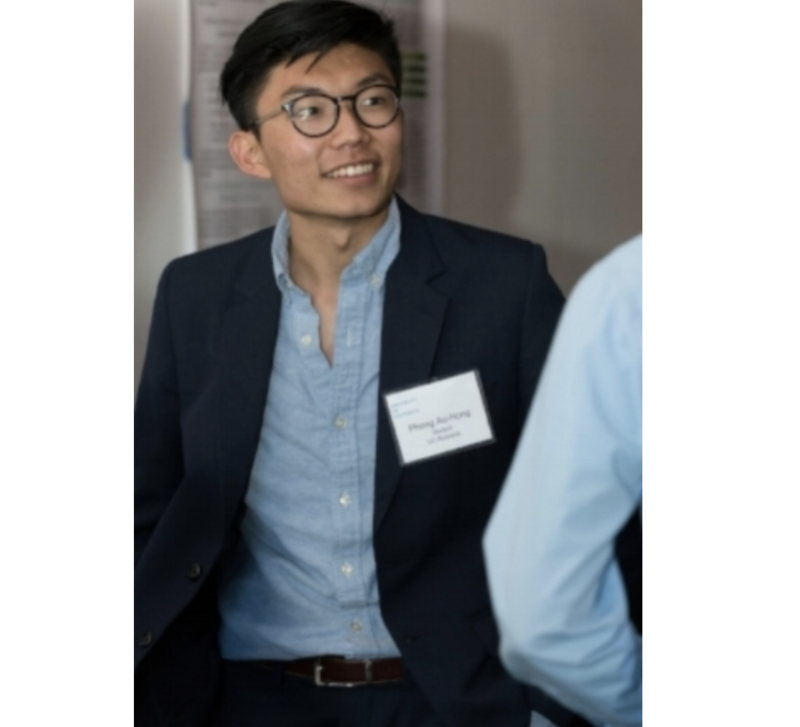 Phong Au-Hong, a recent graduate of the University of California, Riverside in Entomology, served as Glocally Connected’s Project Management Director. As the director, he organized a UCR student-led course on forced migration to raise awareness of global and local issues affecting the refugee community. Phong’s research project with UCR School of Medicine examined structural barriers to health care access among low-income immigrant families who utilize free health clinics. As an entomology student, Phong attempts to find the intersectionality between science and humanitarian work. While interning in Germany, he discovered an affinity with refugee work after community members introduced him to local refugees from the Middle East. Since then, he has developed his interest through Glocally Connected while working with the co-founders to expand support programs addressing health-related needs among women refugees. Cindy Jessen is the Volunteer Coordinator at Glocally Connected. She retired at the end of 2018 from working at a church for three years as an administrative assistant, organizing, scheduling events, and creating documents. Then a year working as a ministry assistant. She has a heart for the Homeless and those in need which led to volunteering at the church in the Homeless and Community Outreach Ministries. She is excited to volunteer with Glocally Connected in the Volunteer Coordinator position, to assist other volunteers who have a heart for serving refugees in our community find their role as a volunteer in the Glocally Connected Organization. Friba Dawar is an Afghan refugee who first became involved in Glocally Connected by joining the English classes the organization offers with her family. She and her family were forced to leave their home after they were threatened by the Taliban, and they made the difficult decision to flee and arrived in California in the summer of 2016. Friba and other students were encouraged to start their very own catering business and have worked with Glocally Connected closely helping to cater events and fundraisers and promoting the Glocally Connected cookbook, inspired by the students, "Taste of Afghanistan."